Trial Judge Got Allocation Of Policy Benefit-Oriented Fees Right. Saddleback Inn, LLC v. Certain Underwriters of Lloyd's London, Case No. G051121 (4th Dist., Div. 3 Mar. 30, 2017) (unpublished) involved an insured which was awarded $2.8 million against an insurer based on a policy reformation as well as $50,000 in punitive damages. The trial judge (Frederick P. Aguirre) then awarded $1,062,116.78 in fees and costs under Brandt (one of our Leading Cases). The appellate court, in a 3-0 opinion authored by Presiding Justice O'Leary, found the fee/costs award to be just right: 30% of plaintiff's efforts at pursuing the policy benefits were awarded, which matched up with the 30% contingency arrangement. BONUS: From the website of the Orange County Historical Society: "In 1984, Gelker sold the Saddleback Inn to a group of investors that included former President Nixon's Chief of Staff (and key Watergate figure) H.R. Haldeman. From then on, the Inn went into a steady decline, and a series of owners, culminating in a string of fires and the demolition of the majority of the buildings in 2013. But between its rise and its fall, the story of this landmark Orange County business was full of twists, turns, fascinating personalities, and historic moments." Split On Issue, But Sixth District Says Brandt Appellate Fees Are Recoverable. After an insured won an insurance dispute on appeal, the insured requested attorney's fees under Brandt v. Superior Court, 37 Cal.3d 18 (1985) in the recent unpublished decision of Olsen v. The Standard Fire Ins. Co., Case Nos. H042154/H042260 (6th Dist. Feb. 9, 2017) (unpublished). The Sixth District agreed to do so, acknowledging it had allowed such recovery of fees on appeal in Baron v. Fire Ins. Exch., 154 Cal.App.4th 1184, 1198 (2007), albeit parting company with a sister court not allowing for recovery Brandt fees on appeal (see Burnaby v. Standard Fire Ins. Co., 40 Cal.App.4th 787, 797 (1995)). Because Brandt fees are in the nature of damages, the matter was remanded for the trial court to consider the request upon appropriate motion—apparently based on the premise that the jury returning the special verdicts was discharged and could not be recalled to perform this task. Pre-2007 CGL Policies Were At Issue. We have a year-end case for you insurance practitioners, especially coverage attorneys. In Navigators Specialty Ins. Co. v. Moorefield Construction, Inc., Case No. G050759 (4th Dist., Div. 3 Dec. 27, 2016) (published), our local Santa Ana court of appeal decided that a pre-2007 CGL "supplementary payments" provisions in an insurance contract encompassed contractually-based attorney's fees which were allowable as "costs of suit" under the applicable insurance provision in the context of a settlement agreement. This decision, based on a footnote in it, only applies to pre-2007 CGL policies, given that post-2007 policies exclude these fees from the ambit of "supplementary payments" provisions. Justice Fybel authored the 3-0 published opinion. Case Was On Remand From California Supreme Court. On June 9, 2016, we posted on Nickerson v. Stonebridge Life Ins. Co., 63 Cal.4th 363, 368, 371, 377 (2016), which decided that Brandt fees should be added to compensatory damages for purposes of determining the compensatory damages ratio for purposes of adjudging the reasonableness of a punitive damages award. The Second District, on remand in Nickerson v. Stonebridge Life Ins. Co., Case No. B234271 (2d Dist., Div. 3 Nov. 3, 2016) (published), considered the impact of the California Supreme Court’s decision on the punitive damages award. What happened below is that plaintiff was awarded $35,000 in compensatory damages, $12,500 in Brandt fees, and $19 million in punitive damages. The trial court found the punitive damages excessive, fashioning a remittitur based on a 10:1 punitive/compensatory damages ratio such that the punitive damages award should be $350,000 instead. However, the Brandt fees were not included in the calculus, even though the state supreme court subsequently decided they should have been. On remand, the 2/3 DCA panel decided the 10:1 ratio comported with due process such that the judgment was modified to allow for $475,000 in punitive damages ($35,000 compensatory award plus $12,500 Brandt fees equals $47,500, multiplied by 10 to reach $475,000). Insurance: California Supreme Court Rules—Do Brandt Attorney Fees Get To Be Considered In Punitive-To-Compensatory Damages Ratio On The Compensatory Side? You Betcha, State Supreme Court Decided. In Nickerson v. Stonebridge Life Ins. Co., Case No. S213873 (Cal. Supreme Court June 9, 2016), the California Supreme Court confronted the issue of whether attorney’s fees awarded to a prevailing plaintiff in a “bad faith” insurance lawsuit should be considered where attorney’s fees under Brandt v. Superior Court, 27 Cal.3d 813, 817 (1985) were awarded post-trial by the lower court via the parties’ stipulation rather than by the jury as damages in the primary case. Our state supreme court said “yes,” they should be considered no matter the procedural context in which Brandt fees were awarded. Because these attorney’s fees are essentially compensatory in nature, they can be considered by trial and appellate courts as far as adjudging whether the punitive/compensatory ratio was reasonable under state guidepost standards (absent circumstances, 9-10 to 1). Justice Kruger penned the unanimous decision by the court. Rate Restrictions Apply No Earlier Than When Insurer Agrees to Pay for Prospective Dates Onward. Although unpublished, insurance practitioners will want to read City Art, Inc. v. Superior Court (Travelers Property Cas. Co. of America), Case No. B256132 (2d Dist., Div. 3 Dec. 9, 2014) (unpublished). Defense Costs Were Properly Paid by Carrier Until Subsequent Investigation Showed No Coverage Potential. Insured must be breathing somewhat easier after the appellate result in Certain Underwriters at Lloyd’s London v. Mestmaker, Case No. F066016 (5th Dist. Apr. 29, 2014) (unpublished), which reviewed a lower judge order directing the insured to pay back $235,958.98 in fees/costs expended by carrier in defending insured in a Colorado federal court action. The trial judge determined that there was no potential for coverage such that carrier had no obligation to defend, meaning insured had to reimburse off of the principal of advanced fees/expenses (plus interest thereon). On appeal, this one got reversed. The reason was that the facts demonstrated that the “no coverage” scenario was only evident based on subsequently developed facts, which translated to defense costs only ceasing on a prospective basis from the point these facts became known. (Tamrac, Inc. v. CIGA, 63 Cal.App.4th 751, 758 (1998).) So, the matter was remanded for the trial judge to determine what defense costs needed to be reimbursed from the point in time where the potential for coverage was discovered to be non-existent. Broker Also Liable To Insured for Fees Under Tort of Another, But Matter Had To Be Reconsidered Given Reversal Of Judgment In Favor Of Insured And Against Insurer. De La Torre v. Century Surety Co., Case No. D061028 (4th Dist., Div. 1 Feb. 24, 2014) (unpublished) was tripartite litigation involving insured versus insurer, and insurer cross-complaining against insurance broker who was claimed to have made false statements leading to issuance of the policy. The case involved a restaurant insured’s bad faith denial claim against an insurer after insured sustained property loss from a fire breaking out in a back kitchen when a pot of oil was left unattended over an open flame burner. Insurer denied the claim based on the argument that restaurant did not have an automatic fire extinguishing system over the back cooking area as required by the policy terms and conditions. Although a trial court made some interim rulings and a jury returned a verdict in favor of insured, the appellate court reversed the judgment against insurer on various grounds. Broker was found liable for misrepresentation under insurer’s cross-complaint. Both plaintiffs and insurer were awarded attorney’s fees as against broker. Broker’s separate appeal did not change the result, because the tort of another doctrine was found applicable as a basis for the fee recovery, as damages, by both insurer and plaintiff. (Gray v. Don Miller & Associates, Inc., 35 Cal.3d 498, 504 (1984); Third Eye Blind, Inc. v. Near North Entertainment Ins. Services, LLC, 127 Cal.App.4th 1311, 1325 (2005).) In trying to defeat insurer’s fees recovery, broker argued that CCP § 1021.6 (fee recovery in implied indemnity actions) applied to the tort of another doctrine—a contention rejected because insurer had no implied indemnity claims. (Burger v. Kuimelis, 325 F. Supp.2d 1026, 1041-1043 (N.D. Cal. 2004).) However, because the insurer was ultimately found not liable, the fee award to insured had to be reversed to determine if the broker was still on the hook for them on remand. Insurance Policy Providing Coverage for Damages Does Not Entitle Insurer to Defense for Injunctive-Only Suit. In our October 5, 2013 post, we discussed San Miguel Community Assn. v. State Farm Gen. Ins. Co., Case No. G047738 (4th Dist., Div. 3 Oct. 1, 2013), an unpublished decision holding that an insured under a policy covering only damages was not entitled to a defense in third party litigation requesting only injunctive relief. On October 17, 2013, this decision was certified for publication. Second District, Division 8 Is Not Going To Be First Court To So Hold to the Contrary. In Aguilar v. Gostischef, Case No. B238853 (2d Dist., Div. 8 Oct. 13, 2013) (published), a plaintiff losing a leg in an automobile accident made pre-trial offers to attempt to accept defendant’s insured’s $100,000 policy limits coverage even though plaintiff’s injuries were “monetized” at well over $500,000. Insured stonewalled on three occasions, providing no response at all to plaintiff’s plea for a policy term settlement. Finally, plaintiff sued insured, with insured (obviously, via insurer-retained counsel) transmitting a $100,000 998 offer and plaintiff countering with his own $700,000 998 offer after earlier notifying the insurer that it could well be liable for an excess judgment in ignoring attempts to the settle the matter within policy limits. The case proceeded to trial, with plaintiff winning court-reduced compensatory damages of $2,339,657 (which was thrown out on a JNOV, but later reinstated in an earlier appeal win by plaintiff). Plaintiff then sought $1,639,451.14 in costs, including prejudgment interest from the date of the “liquidated” 998 offer, with insurer not even moving to tax costs. The lower court decided plaintiff’s $700,000 offer was made in good faith, reducing the requested costs by only $5,903.85 meaning that the ultimate costs award was $1,633,547.29. Farmers challenged the costs award on appeal. The 2/8 DCA, in a 3-0 opinion authored by Justice Flier, found the 998 offer was made in good faith. Given that an insurer who fails to pay policy limits in a serious case is “playing with fire” and may be liable for an excess judgment, in tandem with plaintiff’s counsel’s warning that an excess judgment was a very good possibility, insurer had plenty of information to assess the total picture and its delay in responding certainly raised the specter that an excess judgment could result. Affirmed. Local Santa Ana Appellate Court So Holds. 2/7 DCA So Rules In Published Decision. Swanson v. State Farm Gen. Ins. Co., Case No. B240016 (2d Dist., Div. 7 Sept. 23, 2013) (published) addressed this narrow but important issue for California insurance coverage practitioners: Does an insurer withdrawing all reservations of right and coverage defenses have to continue paying insured’s Cumis counsel after the withdrawal decisions? Answer: No. In our May 20, 2013 post, we discussed J.R.Marketing, LLC v. Hartford Cas. Ins., a May 17, 2013 unpublished decision finding that a Cumis-breaching carrier could not sue to recoup fees paid already to independent counsel. We can now report that this decision was certified for publication on June 11, 2013. Holding is Narrow, Not Barring Fraudulent Billing Suit of the Right Nature. J.R. Marketing, L.L.C. v. Hartford Cas. Ins. Co., Case No. A133750 (1st Dist., Div. 3 May 17, 2013) (unpublished) is an interesting case for insurance practitioners following our blog. There, an insurance carrier was found to have breached a duty to insured to provide separate Cumis counsel and barred from obtaining the rate limitations stated in Civil Code section 2860. Then, after paying over $15 million in submitted bills for defense fees and costs, Hartford sought to sue Cumis counsel for reimbursement for excessive or otherwise improperly-invoiced defense fees and costs based on quasi-contractual/unjust enrichment principles. The trial court sustained a demurrer without leave, a determination affirmed on appeal. However, the appellate court did note that its holding was “quite limited,” not ruling whether a direct suit for fraudulent billing practices in connection with the underlying defense of its insured might be proper in the right circumstances. Often times, the abuse of discretion standard of review dictates results in cases involving fee or fee-shifting cases. That was the situation in Employers Ins. Co. of Wausau v. Rick Concrete Constr. Co., Case No. D058134 (4th Dist., Div. 1 Mar. 8, 2013) (unpublished). Well, insurer was not happy that it did not get reimbursement for expert witness fees after it beat a 998 rejected offer to insured. Although technically finding that insurer was entitled to postoffer costs, the appellate court looked at the record and agreed that insurer did not demonstrate that the expert witness fees were “necessary” for the litigation. Once insured challenged the fees as necessary, the burden shifted to insurer to show they were, and insurer did not satisfy its burden. There you go, something for everyone--split decision on the fee/costs-oriented issues. The pragmatic end result of this next appellate decision is hard to argue with; after all, I think most of us (attorneys, judges, and the public) would think that a filing of an acknowledgment of satisfaction means just that--finito, case ended, no more exposure. Goodbye, yellow brick Brandt road. U.S. District Judge So Rules in N.D. Illinois Decision. We thank our friends at NALFA for calling the next decision to our attention (as posted on in their Attorney Fee Blog). In Philadelphia Indemnity Ins. Co. v. Chicago Title Ins. Co., USDC, N.D. Ill. Case No. 09 C 7063 (June 10, 2012), an insurer challenged an insured’s billings because they were not reasonable and did not comply with the insured’s internal billing guidelines. Both challenges were rebuffed. The district judge determined that neither argument prevailed under the circumstances before him. Second, the insured’s internal billings guidelines were not incorporated into the insurance policy such that they could not on hindsight basis be considered to drive a fee reasonableness determination by the court. Lack of Allocation Was Fatal for Brandt and RFA Issues. Insured prevailed in a suit against auto insurer for making repairs rather than declaring the car a total loss. However, insured was denied requested fees of $500,000 ($250,000 plus a 2 multiplier) even though claiming them under one of three theories: (1) California’s private attorney general statute (CCP § 1021.5); (2) recouping policy benefits under Brandt v. Superior Court, 37 Cal.3d 813, 817 (1985); and (3) fees incurred to prove up facts that were denied by insurer in requests for admissions (CCP § 2033.420). The fee denial was affirmed in Benning v. Wawanesa Gen. Ins. Co., Case No. D058442 (4th Dist., Div. 1 Apr. 26, 2012) (unpublished). The first ground--CCP § 1021.5--was not satisfied because the insured’s win did not benefit a large class of people or the general public. The third ground--CCP § 2033.420--did not justify fees, again, because of insured’s failure to allocate fees only to the work needed to prove up facts at trial from denied RFAs. Again, the lack of allocation was fatal because the fee request did ask for reimbursement for time occurring well before the RFAs were denied. If there is a practice tip emanating from this decision, it is that winning plaintiffs need to allocate time to recoverable tasks when claiming fees under Brandt or the RFA costs-shifting provision. Timing of Arbitration is the Result Here. Janopaul+Blocks Cos., LLC v. Superior Court, Case No. D059282 (4th Dist., Div. 1 Nov. 17, 2011) (certified for publication) is an interesting Cumis situation where an insurer did not agree to defend until 2 years after tender and, before there was a ruling on a Civil Code section 2860 arbitration request by the insurer to gauge reasonableness of Cumis counsel’s rate (and possibly work), insured filed a bad faith lawsuit. The trial court granted an insurer’s 2860 arbitration request, prompting a mandate petition by insured. Because the bad faith action went beyond the normal 2860 arbitration narrow issues, the trial court needed to make a preliminary ruling on the bad faith issues. If the insurer wins, then the 2860 arbitration request could be resurrected. In the end, a timing issue in a case dependent upon very unusual defense acceptance “lag” circumstances. BLOG UNDERVIEW--Co-contributor Mike spoke at and attended the National Association of Legal Fee Analysis (NALFA) Los Angeles conference yesterday on 2011 Attorney’s Fees. There were four panels, which will be the subject of future blogs on each one. However, Susan P. White of Manatt Phelps & Phillips, LLP did speak on this case, opining it was correctly decided under the circumstances, as a panel member with Andre E. Jardini (of KPC Legal Audit Services, Inc.) and Susan J. Field (of Musick Peeler & Garrett, LLP) on “Insurance Coverage Litigation” Who Pays the Legal Bills?” More to come on the NALFA conference in future posts. $2.755 Million in Fees Was the Ultimate Result Sustained Upon Review. Encarnacion v. 20th Century Ins. Co., Inc., Case No. B222313 (2d Dist., Div. 1 Oct. 31, 2011) (unpublished) was an arduous fight between certain parties and an insurance company over breach of contract/insurance bad faith relating to a $5.6 million wrongful death judgment. Justice Chaney, on behalf of a 3-0 decision, addressed a fee allocation verdict under Brandt v. Superior Court, 37 Cal.3d 813 (1985), which allows a jury to award as damages the attorney work attributable to obtaining contractual insurance benefits. The matter then proceeded to a jury determination of what Brandt fees were properly awardable given that fee work is compensable for the obtaining of contract benefits but not compensable for work on the tort claims. Both sides presented interesting proof on what allocation was proper. Plaintiffs sought to obtain recovery for 85% of attorney time (even though no time records were kept), while the defense relied on a fee expert testifying that 22% of the total time was compensable. So, what did the jury do? You guessed it--close to a baby split, determining 50% of the time was allocable for fees so as to result in an award of $2,755,294. Insurance company appealed the fee award, while plaintiff appealed an order taxing certain costs. Contract Litigation Insurance Version .2 – An Upgrade. In our August 3 and 6, 2010 posts and our March 8, 2011 post, we have followed a particularly intriguing insurance product geared directly to the issue of attorneys fees -- Contract Litigation Insurance offered by Sonoma Risk Insurance Agency. We described the coverage in depth in those prior posts -- but again, it is a new form of insurance coverage for an adversary's attorney's fee award after trial or summary judgment, subject to certain conditions, exclusions, and underwriting standards. We had the opportunity to recently speak with Sonoma Risk CEO, Kevin B. Martin, who offered up some valuable new information regarding their innovative product. Insurance: Behnke Decision on Cumis Fees Now Published.
. . . So You Can Now Cite It. In our June 2, 2011 post, we discussed Behnke v. State Farm Gen. Ins. Co., Case No. D056898 (4th Dist., Div. 1), which was unpublished at the time. The decision discussed Cumis counsel fees. We can now report that it was ordered published on June 29, 2011, so the opinion can now be cited. Fourth District, Division 1 Reiterates Duty In Contentious Client-Cumis Counsel Dispute. In a decision that put an end to a long-standing dispute between a client and his Cumis counsel, the Fourth District, Division 1 reminds us that insurers are only responsible to pay reasonable and necessary defense costs to retained Cumis counsel. The decision so acknowledging is Behnke v. State Farm General Insurance Co., Case No. D056898 (4th Dist., Div. 1 May 31, 2011 unpublished), citing in support such case law and statutory provisions as San Diego Fed. Credit Union v. Cumis Ins. Soc’y, 162 Cal.App.3d 358, 375 (1984), Civil Code section 2860(c), and Aerojet-General Corp. v. Transport Indemnity Co., 17 Cal.4th 38, 60 (1997). Substantial Evidence Showed That Insurer Did Not Agree to Defend, So No Trigger Of Fee Arbitration Rights. In The Housing Group v. PMA Capital Ins. Co., Case No. A127581 (1st Dist., Div. 3 Mar. 25, 2011) (certified for publication), insurer defendant was sued by plaintiffs for alleged failures and refusals to defend plaintiffs in certain third-party actions arising out of The Views subdivision in Castro Valley, California (probably construction defect actions). Insurer petitioned to compel arbitration of an alleged Cumis fee dispute pursuant to Civil Code section 2860(c), arguing that plaintiffs disputed the fees that insurer was willing to pay Cumis counsel. In response, plaintiffs opposed primarily on the bases that (1) insurer did not offer any evidence showing it ever agreed to defend plaintiffs in the underlying litigation (making only one minor payment to reimburse plaintiffs’ damages arising out of fees after the case settled), (2) the two “reservation of rights” letters did not demonstrate any acceptance of defense tenders, and (3) Cumis counsel had not been actually retained in the underlying litigation in the first instance. The trial court agreed with plaintiffs, denying the petition to compel arbitration and finding that the insurer had not provided a defense. Insurer appealed this adverse decision. Increased Attention in the Legal Community; Co-Contributor Marc Quoted in California Lawyer; Co-Contributor Mike To Speak At July 8 Century City Panel. In our August 3 and 6, 2010 posts, we discussed contract litigation insurance (CLI), a product being offered by Sonoma Risk Insurance Agency. We described the coverage in depth in those prior posts -- it is a form of insurance coverage for an adversary attorney’s fee award subject to certain conditions, certain exclusions, and underwriting qualifying standards. We can now report that Sonoma Risk is getting more and more exposure in the legal community. Among other things, it is profiled in a November 1, 2010 article by Cynthia J. Larsen of the Orrick Law Firm and in a March 2011 article by Mike Rosen in the California Lawyer. In the California Lawyer article, Mr. Rosen reports that 95% of Sonoma Risk’s clients, including real estate and construction companies, are based in California and have collectively bought more than $9 million in policies to cover fee awards in specific contract cases, paying one-time premiums ranging from less than $1,500 to about $230,000. The article shows why our blog exists: of the roughly 4 million contract disputes filed annually in U.S. courts, as many as 70% involve contracts with fee-shifting provisions. Co-contributor Marc is quoted as saying, “Attorney’s fees are very significant in deciding whether to go to court. It’s possible for fee-shifting provisions to greatly add to the risks of litigation, and many lawyers and clients are risk adverse.” Interestingly enough, Sonoma Risk is apparently offering new coverage in this area as litigation heats up (because its standard CLI is usually obtained at an early juncture after a lawsuit is filed), although the premiums are obviously higher when coverage is bought when things are beginning to explode in a litigation matter. Ms. Larsen’s Orrick article concurs with co-contributor Marc’s perception that paying an adversary’s lawyers is one of the main risks worrying both plaintiffs and defendants in contract litigation. She also notes that parties will likely be asking for CLI coverage information in discovery as this form of insurance catches on, similar to the form interrogatory we have all seen relating to non-fee insurance. Mr. Larsen also makes the point that CLI coverage should be attractive to ERISA fiduciaries and bankruptcy trustees who want to protect corporate funds or the corpus of an estate from an adverse fee award, even though the fiduciaries and trustees are generally protected from personal liability by the business judgment rule. BLOG UPCOMING EVENT--Co-contributor Mike looks like he will be speaking at a July 8 Century City panel involving a Provisors Legal Affinity Group meeting. Mr. Ames of Sonoma Risk has put together a panel of various Southern California law partners and Southern California corporate counsel, which will explore such topics as effective attorney’s fees provisions, CLI, and drafting effective attorney’s fees motion. Mike will take good notes and report back on the highlights of this meeting. First District, Division 4 Discusses Brandt And Routine Costs In Catholic Priest Molestation Insurance Dispute. Howard v. American National Fire Ins. Co., Case Nos. A121569 & A123187 (1st Dist., Div. 4 Aug. 11, 2010) (certified for publication) is a virtual primer for insurance litigators, involving substantial upholding of a substantial bench trial award against an insurer for bad faith failure to defend, settle and indemnify a case involving an insured bishop who retained a priest in a Catholic diocese accused of molesting a third party plaintiff. However, the decision also discusses Brandt recovery of fees and some postjudgment routine cost awards. That is where we pick up. Brandt [one of our Leading Cases] is a California Supreme Court case holding that an insured can recovery attorney’s fees in a bad faith insurance action as long as the fees were incurred to recover policy benefits. (Actually, the fees are recovered as damages in those situations.) Here, the trial court reviewed detailed time records, concluded that 57.44% of the attorneys’ time was attributable to insurance policy contract claims, and awarded half because the contingency fee contract with plaintiffs promised 50% of any total recovery to the attorneys. This came to $661,719.97 as fee “damages.” Although carrier challenged the computation on appeal, the First District, Division 4 found no error, determining the court had properly allocated out non-contract work and followed the post-Brandt methodology for calculation approved in Cassim v. Allstate Ins. Co., 33 Cal.4th 780, 811-812 (2004). That brought the appellate court to some attacks of the total costs awarded to plaintiffs in the amount of $93,827.07. The first item challenged was $46,542.32 for plaintiffs’ fees paid to a private JAMS judge, an item that had to be reversed based upon the parties’ agreement to split the cost of the JAMS judge equally (“divided and borne” language in their agreement). Deposition costs of $44,588.78 were sustained, because all of the depositions were intertwined in the claims against the defendant insurer and no authority supported allocating costs to a codefendant for whom litigation remained pending. The trial court correctly did not award $9,400 in expert witness expenses, because the witness was not a court-ordered witness. Finally, $2,368 in attorney meals for an out-of-town attorney attending a deposition was a properly allowable cost in the discretion of the trial judge. (Code Civ. Proc., § 1033.5(a)(3).) The Howard court refused to interpret Ladas v. California State Automobile Assn., 19 Cal.App.4th 761, 774-775 (1993) as establishing an absolute rule prohibiting reimbursement for attorney meal expenses “under any and all circumstances,” with meal expenses being “reasonably necessary” for out-of-state counsel who attends a local deposition if the lower court finds they are appropriate. Sonoma Risk Insurance Agency Offers New Products to Manage Litigation Risks. · Plaintiff Contract Litigation Insurance (PCLI) or Defendant Contract Litigation Insurance (DCLI) are designed to insure plaintiffs or defendants in contractual lawsuits against the risk of paying their adversaries' attorney's fees if unsuccessful in prosecuting or defending against breach of contract claims. · The insurance policies must be purchased within 60 days of filing of a contract-based complaint (for PCLI) or within 60 days of service of a contract-based action (for DCLI). · The insurance policies are subject to four exclusions and non-coverage caveats: (1) "bad boy" fraud; (2) no fees awarded if there is a resolution other than a merits-based prevailing party determination; (3) no fees awarded for post-rejection fees incurred after rejection of a Code of Civil Procedure section 998 offer (although pre-offer fees are covered); and (4) fees awarded as discovery sanctions or bad faith conduct sanctions. · The carrier reserves the right to appoint, at its own expense, counsel to oppose a fee petition or represent the client in an appeal of a fees award. · The insurance will follow if the plaintiff is compelled to arbitration by defendant; however, the insurance coverage will not remain if plaintiff compels arbitration or if the defendant under a DCLI compels arbitration. Mr. Martin can be reached at 310.954.1522 ext. 224 or at kmartin@sonomarisk.com, for those readers who are interested. You can contact Sonoma Risk for the premium structure --it seems to be reasonable in nature. After the Event or Legal Expense Insurance Is the Middle Ground Discussed. Kevin Martin, founder and CEO of Sonoma Risk Insurance Agency, has written an interesting article, aptly entitled “Leveling the Playing Field in Contract Disputes,” in the August 2010 edition of The Orange County Lawyer. In some statistics directly relevant to this blog, he states that a quick search of reported California cases in the last year shows that more than $14 million have been awarded in the form of “loser pay” fees, with the average award being approximately $300,000. As he observes, serious money—wow (and then some)! Mr. Martin then contrasts the English rule (loser pays) with American rule (each side bears its own fees), but indicates that contractual fee shifting provisions often convert the American rule into a loser pays situation. 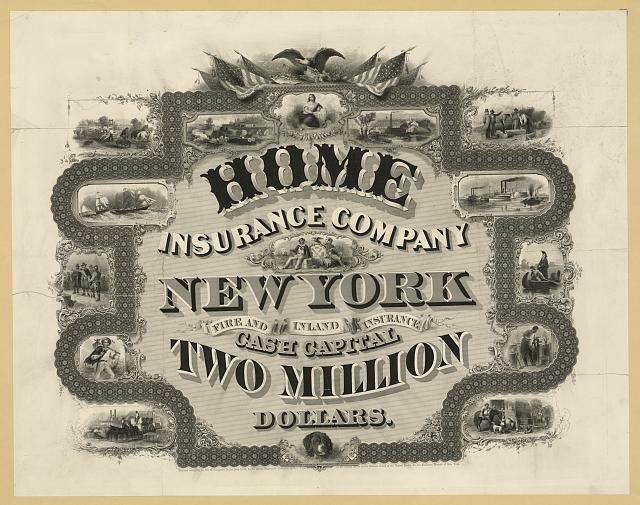 He then argues that there is a middle ground: ATE (After the Event Insurance) or LEI (Legal Expense Insurance) products, which emerged in the English and Welsh insurance markets. According to a recent report from the Manhattan Institute’s Marie Gryphon, ATE insurance is now purchased for three in four civil lawsuits in the British market. Mr. Martin observes that actual experience shows that this type of contract litigation insurance actually deters the filing of frivolous actions. Now, he also discusses the fact that equivalent insurance products are available in the United States to cover attorney’s fees awarded against plaintiffs pursuant to “loser pays” provisions. Such insurance can be purchased within 60 day of the commencement of litigation and covers all attorney’s fees imposed under an adverse ruling. Interesting option. Mr. Martin did not discuss the carriers offering this insurance or the premium structure for such coverage. If anyone has had experience or has feedback on these features of this insurance, let us know by using the feedback email listed on our home page. Second District, Division 3 Agrees that Arbitration Premature Until Conflict Exists. Here is a Cumis arbitration case that should be of interest to insurance practitioners. In Savvy Property Mgt. v. United National Ins. Co., Case No. B214549 (2d Dist., Div. 3 May 24, 2010) (unpublished), defendants in a tenant uninhabitability suit tendered defense of the matter to their insurance company, which accepted subject to a complete reservation of rights and subject to a right to seek reimbursement of any fees/costs advanced in favor of the insured. Defendants, as plaintiffs, bought a declaratory relief action against carrier, as well as sought an order compelling arbitration of the amount of hourly fees for independent Cumis counsel. The trial court denied the motion to compel arbitration under Civil Code section 2860(c). Plaintiffs appealed. Case Teaches You to Be Careful on Your Stipulations in this Area, But Offers Guidance on How to Obtain Post-Verdict Brandt Fees. This next case is an interesting one, teaching that winning insureds’ attorneys seeking Brandt fees need to be very careful on what stipulations they make with the opposition. Courts, as the judge did here, will hold winners to the terms of their stipulations as far as post-trial fee recovery is concerned. In Essex Ins. Co. v. Professional Building Contractors, Inc., Case No. B215005 (2d Dist., Div. 2 Apr. 6, 2010) (unpublished), insured won a jury verdict consisting of compensatory damages of $682,264.22 in an insurance policy breach/bad faith action ($325,999.25 of which were Brandt fees) and punitive damages of $2.5 million. The trial court granted a conditional new trial unless insured remitted down to $682,264.22 in punitive damages, which it did not. Everyone appealed earlier, but the appellate court affirmed the trial court’s punitive damages reduction. However, that did not end the matter, because insured sought somewhere between $127,000-250,000 in fees incurred primarily for trial and post-trial work. The lower court denied the fee request altogether, because insured did not comply with the terms of a stipulation its attorneys made with the opposition—namely, that insured would only be seeking 1% of the entire batch of Brandt fees in the post-trial proceeding (something that did not happen because the $250,000 initial request was 78% of the attorney’s fees previously awarded by the jury). The lower court also denied some costs because insured did not apportion them between true routine costs versus Brandt-related costs. $22.5 Million Must Be Paid By Insurer for Enron-Related Cases. The New York Supreme Court Appellate Division recently affirmed a lower court’s ruling that Twin City Fire Insurance Company must cough up $22.5 million to cover a portion of JPMorgan Chase’s defense costs and settlements in a host of lawsuits related to Enron’s collapse. The ruling came down on March 18, 2010. Fourth District, Division 1 So Holds in Recent Published Decision. Certain Cumis (162 Cal.App.3d 358) fee disputes are subject to arbitration under Civil Code section 2860(c). However, the Fourth District, Division 1, in Intergulf Development v. Superior Court (Interstate Fire & Cas. Co.), Case No. D055459 (4th Dist., Div. 1 Mar. 24, 2010) (certified for publication), decided that an insurer is not entitled to binding Cumis arbitration against the insurer for breach of contract and bad faith where there has been no determination that the insurer had a duty to defend and the parties dispute whether the insurer satisfied that duty and its obligations under section 2860. Insured’s complaint was for bad faith and breach of contract, not a dispute over the amount insurer should pay Cumis counsel, an important distinction with a difference for the appellate court. Otherwise, a premature determination that insurer is entitled to Cumis arbitration might “trump” critical factual questions at the heart of insured’s breach of contract and bad faith claims. We would predict that this decision is going to generate some controversy among insurance law practitioners.